Everyone in the Junto Tribe and our friends in Chicago's startup community know that for the first two years of The Junto Institute, we published a monthly Executive Brief. It was an email newsletter with program highlights, company stories, and lessons learned. 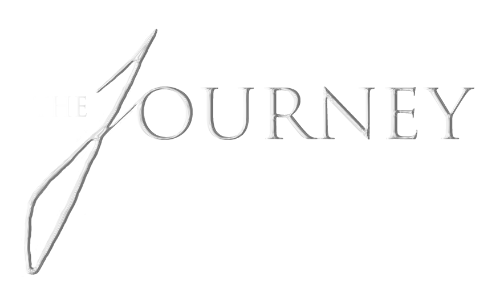 This month, we're launching The Journey, a fresh digital communique that is replacing the Executive Brief as a newsletter. If you're not already on our list and want to subscribe, please click here. Our third cohort, JuntoIII, is officially underway with five companies: Earlybird, KnowledgeHound, Medtelligent, RxBar, and TopstepTrader. My business partner, Catherine, has called the Apprentices "A+ students" since they're showing up on time, are fully prepared for each session, and milking the program out of the gate. This is the first cohort we've had where every company spoke with JuntoAlumni as well as Mentors before starting the program, so they were far more informed than prior companies. Furthermore, we have two years of operating experience so we're able to share more about the program and its impact. We've announced JuntoGlobal, a three-month summer intensive program in Chicago for startups located outside the U.S. JuntoGlobal is for companies that want to enter the U.S. market or expand operations there, and promises three important outcomes: learn how to do business in the U.S.; build a powerful network stateside; and learn from American entrepreneurs and executives. Applications are now open and the program will start in late June. Briteseed (JuntoI) joined MATTER, Chicago's healthtech incubator, and also won the 2015 SPIE Startup Challenge. Eclipse Telecom (JuntoI) co-founder, Dave Dyson, contributed a chapter to "The Book by Entrepreneurs for Entrepreneurs." Forte (JuntoII) hired a new CEO, Alan Yefsky, who was on Forte's Mentor Team during the program last year. GetMaineLobster (JuntoII) is competing in the FedEx Think Bigger Small Business Grant Contest. Music Dealers (JuntoI) tripled their revenue in 2014. SOLID Interactive (JuntoII) developed and introduced a new internal community platform for Priceline. Spikeball (JuntoII) and ThreadMeUp (JuntoII) moved into shiny new offices in the West Loop, occupying separate floors in the same building. Tiesta Tea (JuntoI) recently celebrated their fifth anniversary. Weave the People (JuntoI) introduced its new iPad product, Weave Explorer. The JuntoTeam has grown to five. Killian Frailey joined us last month as Program Coordinator, helping us deliver a remarkable experience for JuntoApprentices and Alumni. And Kelsey Mazeski starts this week as Outreach Coordinator, helping us build relationships with organizations and startups for JuntoGlobal. We welcome CognosHR as a new Program Partner, delivering Human Resources Tutoring during JuntoIII. Last, and certainly not least, we're incredibly proud of the outcomes realized by the JuntoAlumni companies. I shared some of them during my talk at JuntoNight, our graduation event for JuntoII, and look forward to sharing more as time goes on.